Finding Milwaukee car dealerships for a great selection of new and used trucks for sale is easy. If you still haven’t found the Chevy trucks at car dealers in Milwaukee with the variety you crave, come to Ewald Chevrolet Buick. You no longer have to struggle when looking for used trucks for sale in Milwaukee at car dealers near you. Not just because of the selection of used trucks for sale in Milwaukee at Ewald Chevrolet Buick. But because we have affordable prices and impressible customer satisfaction skills. Traits that many Wisconsin drivers have been longing to find at car dealers in Milwaukee. When it comes to buying your next Chevy truck at car dealers in Milwaukee, Ewald Chevrolet Buick would love to help make the task of finding that truck more accessible than ever. Our Ewald car dealership near Milwaukee is ready to offer you the customer service experience along with the vehicle knowledge that you want and need. Do you want to search for used trucks for sale in Milwaukee from the privacy of your home instead of going to car dealers in Milwaukee? Visit the Ewald Chevrolet Buick dealership website. You will find many resources and tools to help with your research of used trucks for sale in Milwaukee. If you prefer shopping for used trucks for sale in Milwaukee in person, give us a call. We will schedule a time that works best for you to help find what you need in our used trucks for sale selection. Shopping for used trucks for sale in Milwaukee can be easy when you come to the right dealership. And that dealership just so happens to be Ewald Chevrolet Buick in nearby Oconomowoc WI. The used Chevy trucks for sale here at Ewald Chevrolet Buick are up for both work and pleasure. When you stop by Ewald’s Chevy dealership, take a look at the fantastic selection of used Chevy trucks for sale to find the perfect one for you. From a used Chevrolet Avalanche to a used Silverado 2500HD, we have you covered with our incredible used Chevy trucks for sale. 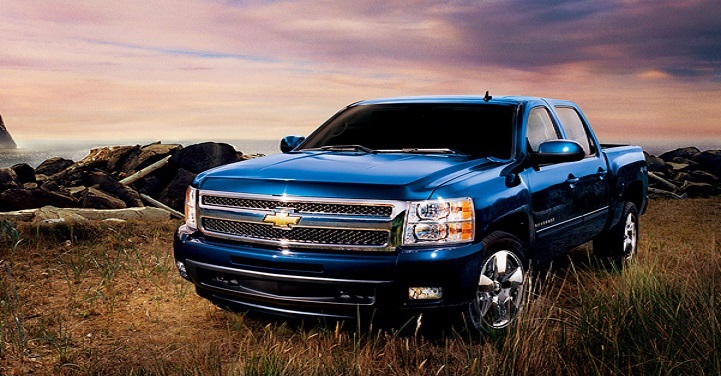 Find used Chevy trucks for sale with amazingly convenient features. Like automatic climate control, remote engine start, and steering wheel controls. Take one or more of the used Chevy trucks for sale out for a test drive down the streets of Wisconsin today. Whether you’re looking for used Chevy trucks for sale or another one of our used trucks for sale near Milwaukee, we have what you want at Ewald Chevrolet Buick. You can reach Ewald’s used car dealerships near Milwaukee at (262) 226-2842 to schedule your test drive. Or find Ewald Chevrolet Buick at 36833 E Wisconsin Ave in Oconomowoc WI, 53066. When you want reliable and impressive used trucks for sale in Milwaukee, come to Ewald Chevrolet Buick in nearby Oconomowoc WI. Experience the Ewald difference when you come in today.